Today (for a change) I’m actually not in apologising mode. Today I’ve got an exciting announcement to make. I’m a little bit late because actually the big launch was yesterday (curse this time difference) but as I’m not the sort of person who likes to miss out, I’m going to shout out about it anyway. 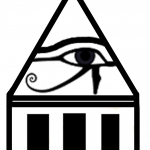 As of the 1st of June, 2012, a new venture in publishing has arrived – the Alexandria Publishing Group. The Alexandria Publishing Group is a publishing collective. We’re a group of independent writers who have banded to create something that is greater than the sum of its parts. We have created a brand that we hope will show to readers that we independent writers care just as much about quality, whether that be quality of story, quality of editing, quality of presentation, as any writer at a big publishing company. And we want to show to all others out there in the writing world, whether that be bloggers or reviewers or even other publishers, that we know how to behave in a professional manner. As for me, I’m not the sort generally that likes to crow about how great my books are – the next time I make a fuss about how perfect my writing is, I’m likely to find half a dozen readers all pointing out errors that they’ve found. What is really gratifying about being involved in this collective is that I wasn’t the one who made that call. A group of my peers, who are familiar with my writing, invited me to join the group, which I took as a terrific compliment. Of course, credit where credit is due. I have to thank Valerie Douglas for all her work in setting this up, and also Kai Wilson whose technical expertise and endless patience has resulted in a fantastic looking site. So if you’re looking to find some great writing in a variety of genres, please come to our site at http://alexandriapublishinggroup.com. Check out the books on offer and learn about the writers involved. And if you’re quick, there are also a bunch of books being given away over the next couple of days, including two of mine. Check out our press release for more information. Hope to see you there and happy reading.